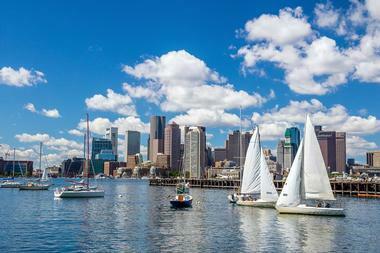 Boston is one of America’s oldest cities and is famous for the key role it played in the American Revolution. It is an exciting destination for families and offers many interesting and educational attractions for children. 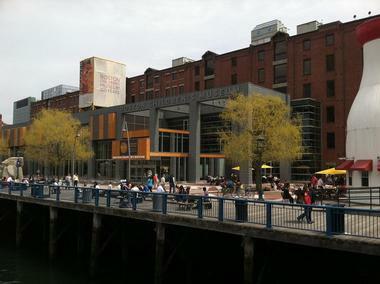 The Boston Children’s Museum is considered to be one of the finest in the US and is a must-see attraction for families. The Boston Children’s Museum offers an amazing list of fun activities and exhibits for children of all ages and their parents or care-givers. The museum is packed with educational interactive toys and exhibits for children of all ages to enjoy. As you make your way through the various exhibits your children will learn about race and ethnicity (Boston Black exhibit), enjoy digging, climbing and building (Construction Zone) and discover the wonderful world of bubbles (Bubbles exhibit). In addition they can learn about dance and theater at KidStage and have loads of fun at the three-storey New Balance Foundation Climb. The museum also hosts a full program of educational workshops including science and technology and even kindergarten readiness programs. If you are wondering how to combine a history lesson with loads of fun you need look no further than the Boston Tea Party Ships and Museum. An interactive tour of the ships and museum, led by an enthusiastic costumed guide, will bring the history of the famous Boston Tea Party to life for both adults and children. Tours take around an hour and you and the family will learn all about the momentous 1773 event which entirely changed the course of history in America. Your fun experience will include exploring the replica ships, dumping some “tea” and watching the award winning “Let it Begin Here” short film in the multi-sensory theater which explains the events which led to the start of the American Revolution in 1775. 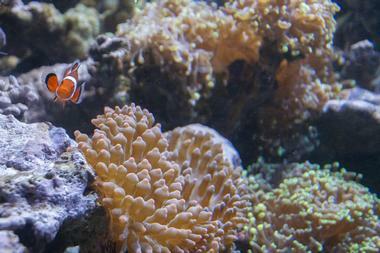 The New England Aquarium is a must-see attraction for families visiting Boston. The multi-faceted facility is fun to explore at your own pace and will fascinate children of all ages. There are so many wonderful marine exhibits for your family to explore that it is impossible to mention them all; however, some of the most popular highlights include the four-storey Giant Ocean Tank (which contains Caribbean coral teeming with over 1,000 marine animals), the Science of Sharks exhibit and the Atlantic Harbor Seals exhibit. Children can experience what sea creatures feel like at the Edge of the Sea Touch Tank and the Shark and Ray Touch Tank. The aquarium also offers fully immersive behind-the-scenes animal encounters – see their website for more details. As part of your Freedom Trail tour, the whole family can enjoy taking a trip back in time at the historic Paul Revere House, which showcases over three centuries of Boston history. 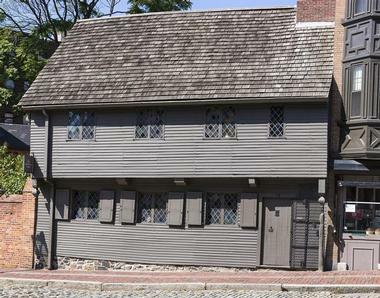 The home was originally built in 1680 and is downtown Boston’s oldest building. As you make your way around the tiny home you will be able to see just how people lived back in the 17th century. There are knowledgeable and enthusiastic guides in the house who will endeavor to bring the Paul Revere story to life for your children. After your tour of the house you can spend a little time in the Visitor’s Center and the little museum store, where children can buy unusual souvenirs to remind them of their visit. 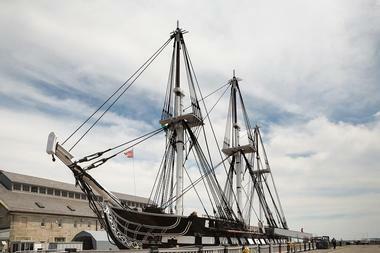 Paying a visit to the USS Constitution Museum (and the USS Constitution ship, which is operated separately from the museum) is a popular outing for families visiting Boston. Children will enjoy the many hands-on exhibits in the museum including trying their hands at firing a canon, constructing a miniature of the Constitution, dressing up in sailor’s clothes, trying out a hammock and scrubbing the deck. Parents and older children will enjoy exploring the very extensive collection of artifacts from the original ship which served in the War of 1812. After touring the museum you can take a free tour of the ship (provided visitors over 18 years can provide valid state or federal ID). 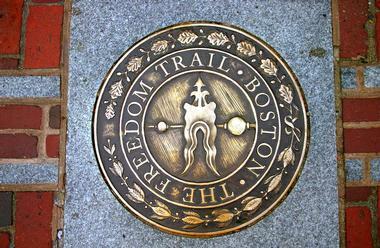 Exploring Boston’s famous Freedom Trail is a must-do activity for any visitor to Boston, providing a memorable history experience for the whole family. You can explore the trail at your own pace on a self-guided tour with a guide book or audio guide or really bring the history of America’s fights for Independence to life for your family by joining one of the many guided tours available. Your tour will be conducted by a costumed docent and will include sixteen historically significant sites. The full trail covers about 2.5 miles and you will probably need a stroller for younger children. Tours start at the Boston Common Visitor’s Information Center. 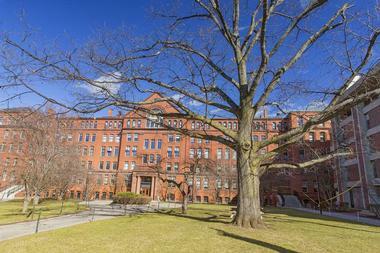 The Harvard Museum of Natural History offers a fascinating day out for children of all ages. Here you will see wonderful examples of wildlife from far-away continents as you pass through the Africa, South American and Asia exhibits, and a multitude of colorful birds in the Birds of the World gallery. Your children can learn about evolution, climate change, marine and microbial life and dinosaurs. In addition you can admire the wonderful Rockerfeller Beetle Collection and the beautiful collection of Blaschka Glass Flowers. The museum also offers regular children’s programs – you can check their website for details. If you have high-school children in the family you should consider a student-led tour of the Harvard Campus while you are in the area. Boston’s amazing Museum of Science is certain to keep the entire family engaged and absorbed as you pass from one fascinating exhibit to the next. Your family will see amazing reconstructed life-size dinosaur models as well as examining a genuine 23-foot Triceratops fossil believed to be over 65 million years old. There are many other wonderful permanent exhibits as well as regularly rotating temporary exhibitions to interest all ages. In the IMAX theatre children can experience the wonder of other worlds on the immense five-story tall domed screen, while the Planetarium offers regular Friday and Saturday evening immersive astronomy activities. A family visit to the zoo is always a good idea. At Boston’s Franklin Park Zoo each and every member of the family will have a great outing as they meet and admire a huge selection of animals from all over the world. The (seasonal) Aussie Aviary is a great hit with younger children who can hand-feed the colorful collection of budgies. Little visitors will also love exploring the Children’s Zoo where they can play alongside red pandas and other interesting animals and reptiles. A few of the zoo’s highlights include the Tiger Tales Exhibit, the Giraffe Savannah and the Tropical Rainforest where you can meet hippos, primates and more. 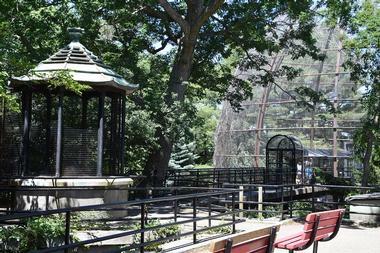 The zoo also features an enormous playground for younger children. For a unique and exciting family outing you can book a cruise of Boston Harbor on one of the Liberty Fleet Tall Ships. The Liberty Fleet ships are modern vessels which have been built to exactly resemble the working ships of the 18th and 19th centuries – children will have the time of their lives reliving historic swashbuckling days at sea. Your harbor cruise will take between 90 to 150 minutes, depending on the prevailing wind conditions on the day, which will also determine your course - you could visit the historic North End or Charlestown, or head out to view the picturesque Boston Harbor Islands and Fort Independence. The Massachusetts Historical Society is a venerable research library which protects and showcases a huge collection of historic papers and artifacts and endeavors to teach visitors how our history has determined not only our present lives but also our future. A large part of the collection will probably be boring for young children, but older children will gain a great deal of knowledge to help bring their classroom history lessons to life. The society hosts regular workshops and lectures for teachers and students and their up-to-date on-line research facility offers lesson plans and classroom resources for all children, including images of some of the society’s original historic documents. 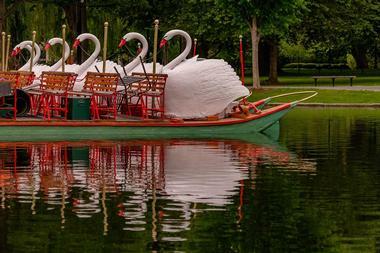 The Swan Boats of Boston have been an institution in the city since the first swan boat was launched back in 1877. The inventor of the original Swan Boat got his inspiration for the swan design from the opera Lohengrin, in which the hero crosses a river in a boat drawn by a swan. In those days, each of the unique Swan pedal boats could seat just two people and their driver, but over the years the vessels have evolved and now carry up to 25 people for a fun trip around the Public Gardens Lagoon. Your ride on the Swan Boat will take around 15 minutes and children under two get a free ride. The Swan Boats only operate in summer. 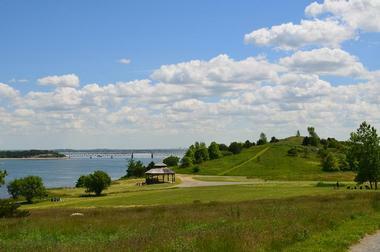 A visit to the Boston Harbor Islands National Recreation Area is sure to please the whole family. The islands offer a diverse variety of attractions and activities including the chance to tour historic Fort Warren on George’s Island. 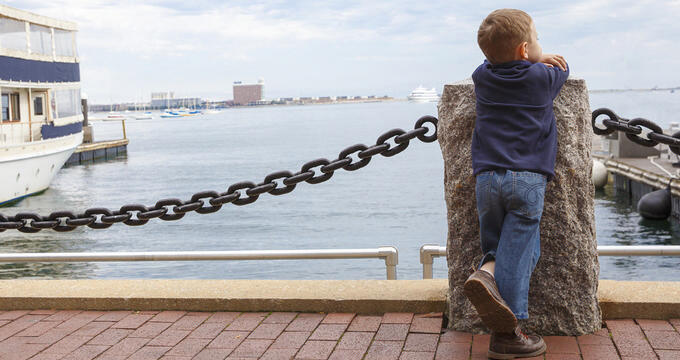 If your family enjoys beachcombing, wildlife watching, fishing, tide-pooling and other beach activities you have a wide choice of idyllic island locations to choose from – there are regular ferries from Boston Harbor (May to November). You also have the option of going on a Boston Harbor Lighthouse Cruise which will take you to see three historic lighthouses including Boston Light. There are also many scenic family-friendly hiking trails on the islands – bring a picnic and make a day of it. You can set your children up for a life-long love of the performing arts by taking them to enjoy one of the delightful productions of the Boston Children’s Theater at an early age. 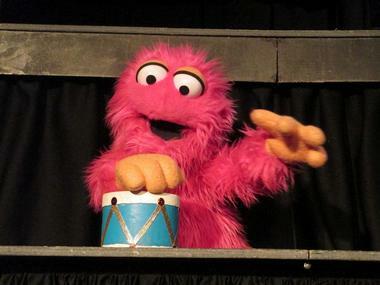 The BCT produces several shows each year which will introduce your children to music, dancing and the performing arts. If your child already loves the theater and would like to participate your can enroll him/her in one of the many classes and programs on offer for children of all ages (four years and up). Boston Children’s Theater will also take the headache out of arranging your child’s birthday party – simply choose a theme, bring the children and the camera and they will do the rest. You can introduce your children to the wonderful world of puppetry at the Puppet Showplace Theater in Brookline Village. 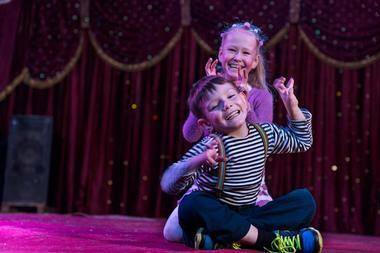 The theater stages over 300 professional puppet shows each year, most of which are suitable for children. Mainstage Shows are scheduled for mornings or afternoons so that younger children and their families can come and enjoy the ancient art of puppetry, while the Puppets at Night series is ideal for families and teens. If you have a toddler in the family you can bring him/her to participate in the regular Friday Puppet Playtime, which is a great introduction to the world of puppets. 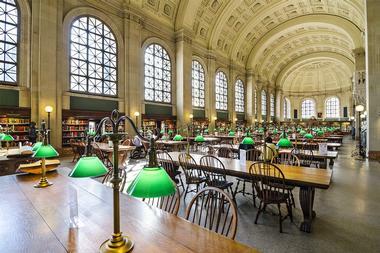 The Boston Public Library (or one of its many branches) offers families a remarkable learning resource for all ages. You can start bringing your child to the kid’s activities at just about any age – it is never too early to get your child hooked on books. The library offers morning Story Time sessions for babies, toddlers, pre-schoolers and kindergarten children and you can also bring your child to start learning about music, film and dance at one of the regular children’s film shows and family dance programs. Older children can receive homework help and mentoring after school and there are always librarians on hand to suggest age-appropriate books to capture the imagination of even the most reluctant readers. Located in the Mary Baker Eddy Library in Back Bay, the Mapparium is an interesting exhibit which will get your children thinking about the world they live in. 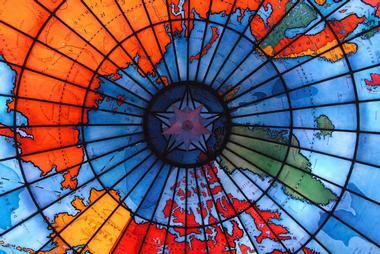 The Mapparium is an enormous three-story high stained glass globe which gives visitors a dramatic three dimensional perspective of the world of 1935. The amazing globe features a glass walkway which takes visitors right into the center of the world. Your tour of the globe will be accompanied by “A World of Ideas”, a multi-faceted word, music and light show which shows visitors how ideas have crossed the world and influenced our lives. If your children are into stargazing and are interested in the fascinating world of astronomy they will love a visit to the Coit Observatory. The observatory hosts Public Open Nights on most Wednesdays of the year, provided the weather cooperates and there are clear night skies. You and your children will get to observe the night skies using roof-top telescopes and binoculars and have the observatory staff explain what you are looking at. You are free to ask questions and will all come away with a better understanding of astronomy. 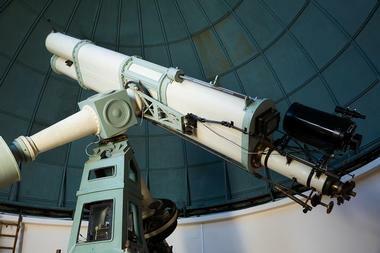 Public Open Night at the Observatory is free, but you do need to get tickets to ensure that you have a reserved spot. Historic Faneuil Hall Marketplace is a must-see attraction for all visitors to Boston. Not only is this it of the world’s most historic retail locations but it also offers a wide variety of shopping, eating and entertainment for all members of your family. Inside the marketplace you will find a unique mix of retailers both big and small with an emphasis on dealers selling locally produced crafts. You can shop for exotic foods at the Quincy Market, enjoy a snack or drink from one of the many bars and restaurants and spend some time watching a variety of street performers who will keep the children amused for hours. 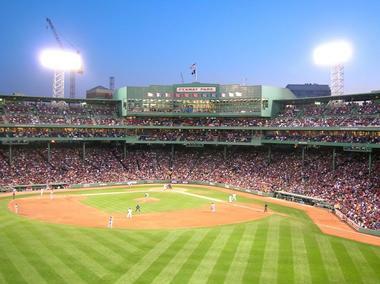 Baseball fans may want to consider scheduling their Boston visit to coincide with a Red Sox home game, to bring their young baseball fans to watch the famous Red Sox in action at Fenway Park. If you are watching the game with younger children (who easily get a little restless) you can take them to visit Wally’s Clubhouse which is open to all kids between the 7th and 13th innings. Here they will get a chance to meet Wally, the team’s friendly green monster mascot, have their faces painted, watch a magician or have fun at the toddler playground. If you enter Fenway Park at Gate K (especially for families) you will find a selection of child-friendly food outlets. For a couple of hours of quacking good family fun you can take the kids to experience one of Boston’s popular Duck Tours. 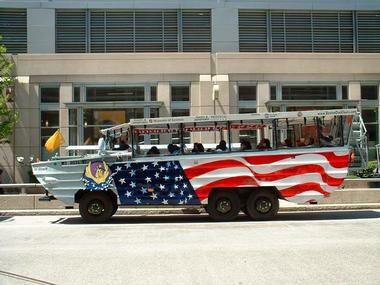 The fun starts the moment you step on board your DUCK (an amphibious vehicle similar to a WW II landing craft) and meet your conDUCKtor, who will be telling you all about the famous Boston highlights you will see on the tour. Tours depart from the New England Aquarium, Prudential Center or the Museum of Science and each tour follows a slightly different route. The most exciting part of the tour is when your DUCK plops into the Charles River, from where you will see breathtaking views of the Boston and Cambridge skylines. Tours run daily from 21st March to the 25th November. If you have some ice hockey fans in the family they will love the opportunity to see the Boston Bruins in action at TD Garden. 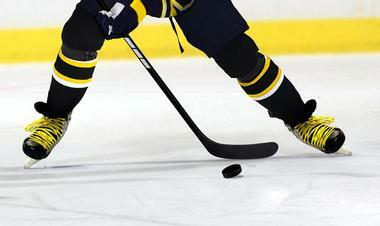 The Bruins are the oldest hockey team in the country and have been thrilling fans since as far back as 1924. Watching the Bruins at TD Garden is a thrilling experience for the whole family; the venue can seat over 19,000 fans and boasts three private restaurants, many popular concessions and state-of-the-art technology. The central location of TD Gardens means that you can easily access the park using public transport to the North Station terminal. Boston Bruins kid’s apparel is available on-line. Offering a brilliant overview of the city, the Skywalk Observatory should be one of the first places you visit in Boston. The Skywalk Observatory is located at the top of Boston’s tallest building, the Prudential Center in Boylston Street - you need to access the tower lobby via the Prudential Center Mall. 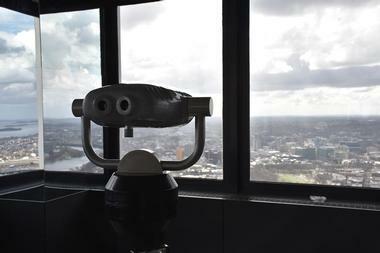 Once inside the Skywalk Observatory you and the children can drink in the remarkable 360 degree views of Boston while you listen to a sophisticated audio guide which will tell you a little about many of the city’s historic and cultural attractions. Your visit to the Skywalk Observatory will give you a great overview of the city and help you to streamline your Boston itinerary. You can give your children a delightfully decadent chocolate field-trip by arranging a family chocolate tour with the Boston School of Chocolate. The School of Chocolate offers a selection of chocolate tours and workshops (mainly suitable for older children) where the whole family can learn about the origins of chocolate, how it is processed and expertly crafted into delectable treats. If you choose to join a Saturday morning Chocolate Walking Tour you will visit several of Boston’s historic attractions and get to sample hand-made chocolates from five of the city’s premier chocolate retailers. 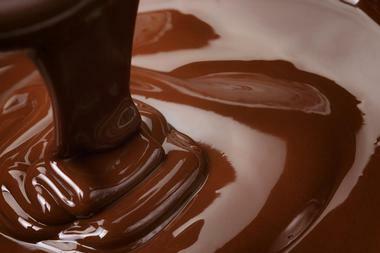 If you have a budding chocolatier in the family you can book him/her into one of the school’s chocolate making classes. When you and the children need a break from your busy Boston itinerary you can combine sightseeing with relaxation on a Boston Harbor Cruise. There are five different cruises to choose from including the Historic Sightseeing Cruise which is fully narrated and will give the kids a great introduction to Boston’s history. If your children are old enough to stay up late you can take them on the Sea the Stars Cruise, presented in conjunction with the Museum of Science who will explain all about the planets, galaxies and constellations which make up the night sky. Other cruises include a Sunset Cruise, the USS Constitution Cruise (with optional tour of the famous USS Constitution) and Whale Watching cruises.